Photos by Christine and Carla Photography. 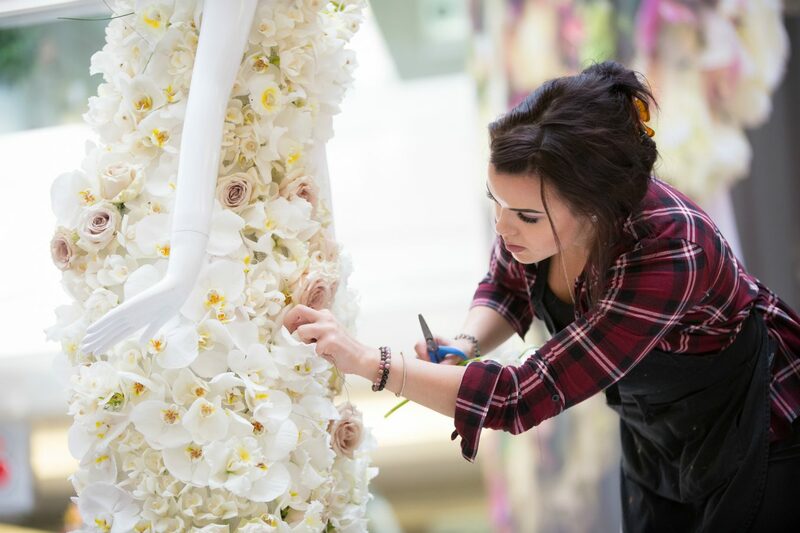 Have you ever laid eyes on a wedding dress made from creamy roses and calla lilies? Or a whimsical mermaid gown held together by delicate freesias, spray mums, and hydrangeas? 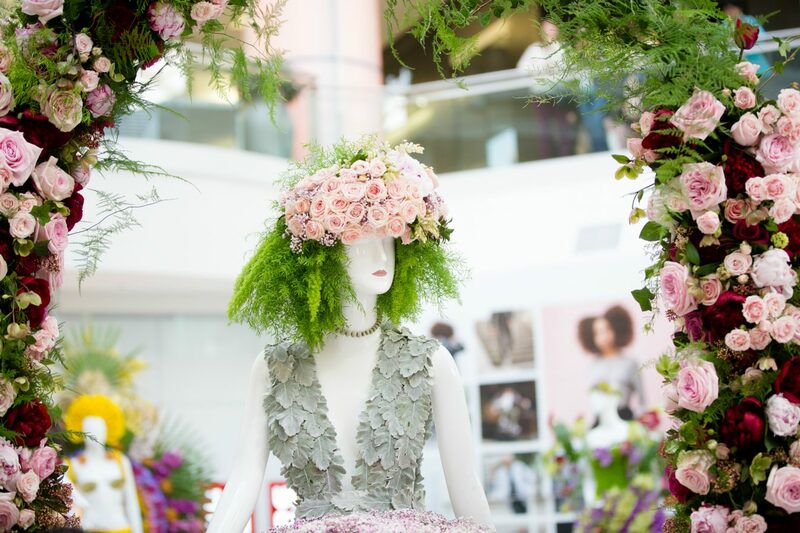 At the heart of B.C.’s largest shopping centre is a garden of these bespoke creations, woven together by orchids, peonies, and other fresh blooms that overwhelm the imagination. 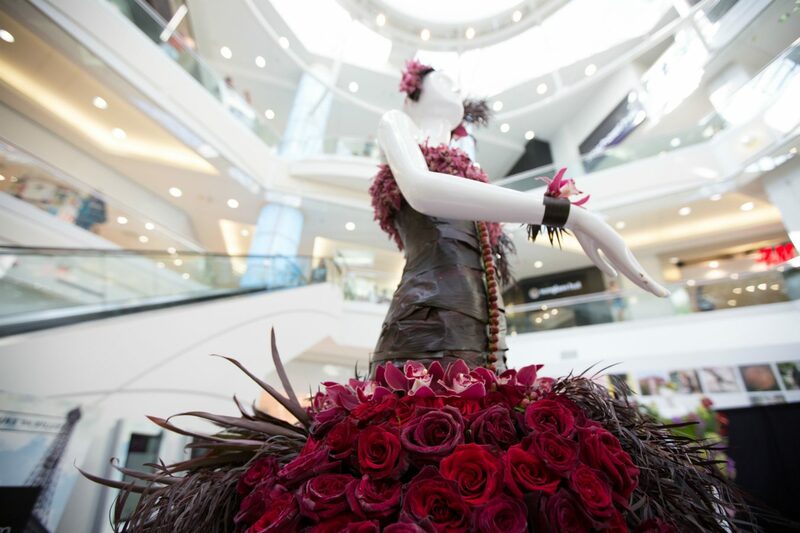 Until May 6, 2018, visitors of Metropolis at Metrotown have the pleasure of witnessing this unique flower event, Fleurs de Villes, just in time for spring. 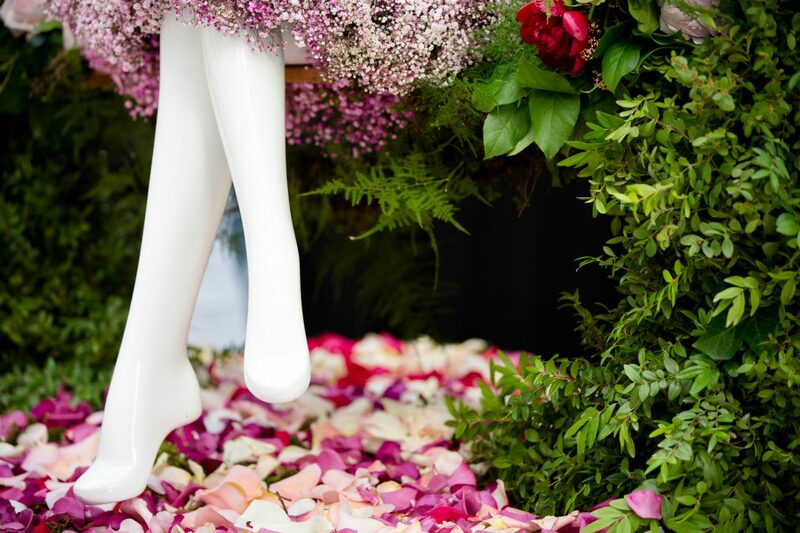 Fleurs de Villes occurs in six cities across Canada, with each location’s floral mannequins decorated by that place’s local talent. In the Vancouver area, that means designs by the likes of The Flower Factory, Dushan Flowers, and the Maureen Sullivan Floral Design School. 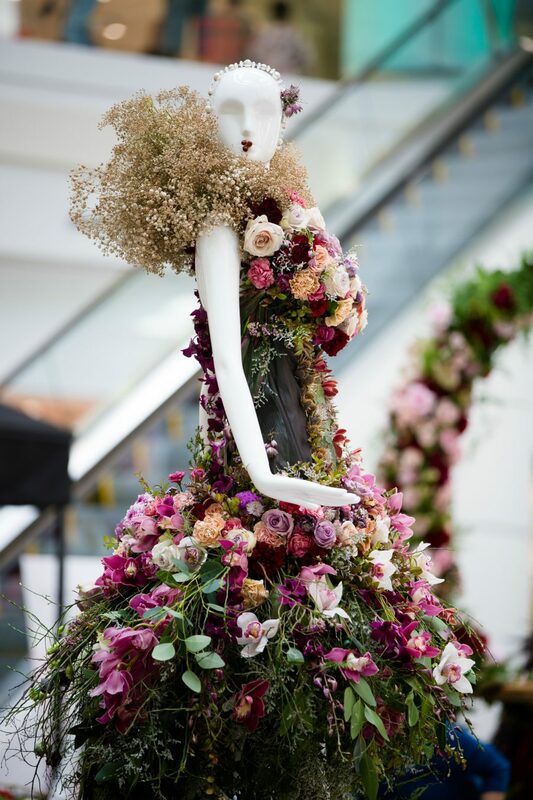 The festive exhibition showcases the skill and creativity behind the world of floral art, and serves as a platform for the latest in floristry design to be appreciated on a grand scale. 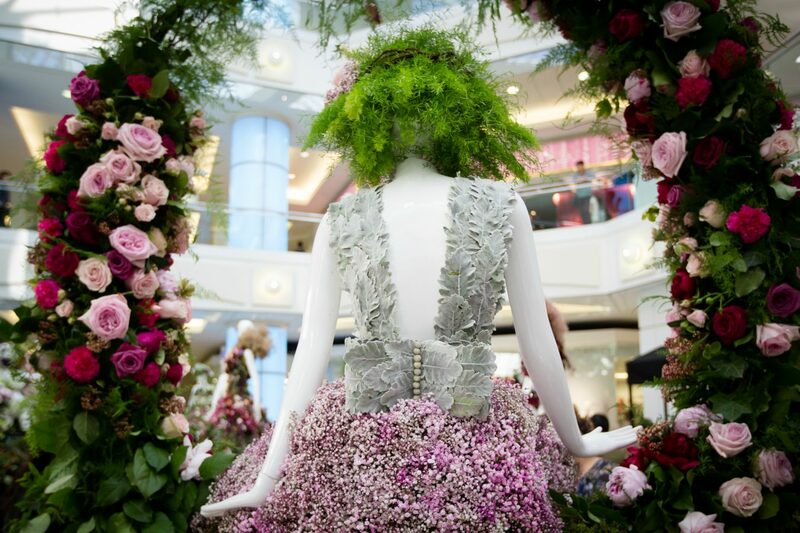 Participants are encouraged to push the boundaries with their flowery ensembles while meeting the challenge of keeping these activations looking invigorated throughout the multi-day event. 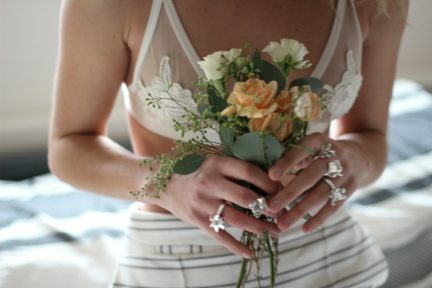 “I really feel like we’ve built up a new type of media,” says Karen Marshall, co-founder of this enchanting affair. 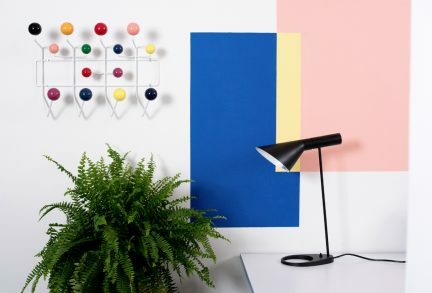 “We’ve got stop-in-your-tracks engagement happening.” Based in Vancouver, Marshall and her partner Tina Barkley founded Fleurs de Villes with a focus on experimental marketing in public spaces. 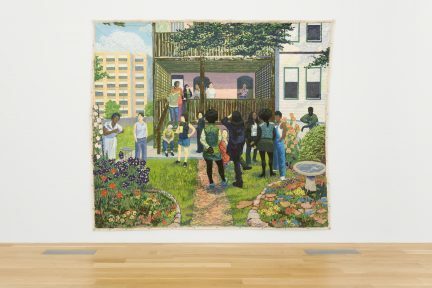 Inspired by the Chelsea Flower Show in London, a prestigious display of nature visited by 157,000 people each year (including Queen Elizabeth), Marshall set out to combine art and flowers to engage her own community. 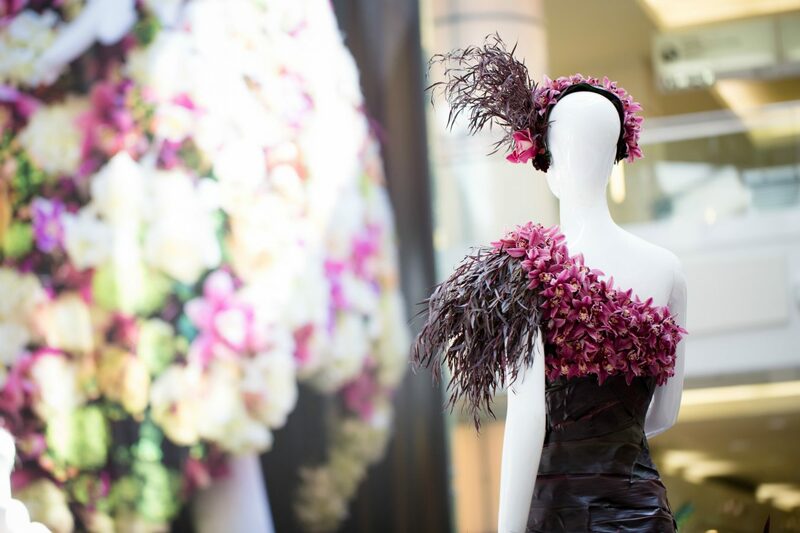 The first Fleurs de Villes popped up in Victoria’s Mayfair Shopping Centre in 2016; aside from Vancouver, this year’s series hits Toronto, Calgary, Edmonton, Quebec City, and Ottawa. 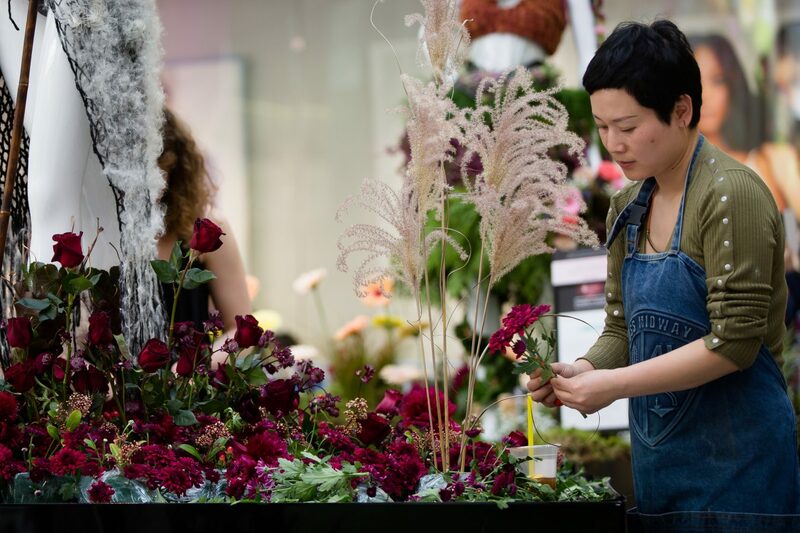 With 90 florists taking part in total, the public has never had a better opportunity to discover the creativity blossoming in their cities. “We really like to work with partners who enhance the program and support the florists. That’s really what we’re about,” Marshall explains. “There’s amazing florists in our community, and to support those florists is such a privilege for us.” On top of the mannequins, participating florists can also sell their goods through pop-up markets. Nurseries and garden centres can also join, creating an atmosphere reminiscent of those idyllic open-air markets in France. With vast room for interpretation, Fleurs de Villes proudly lays claim to the fact that no two shows are the same; the magic happens when visitors get up-close and personal. “You can look at a picture of our mannequins and it’s very flat,” says Marshall. “The pictures do not tell the true story. We really encourage people to come out and bring a friend.” If that weren’t enough to drive engagement, people can also enter to win a trip for two to Paris. Appreciated by all, flowers are symbols of love and beauty. 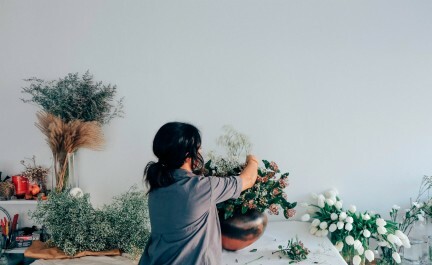 By fusing together art, floristry, and community, Fleurs de Villes is a springtime delight for the senses.